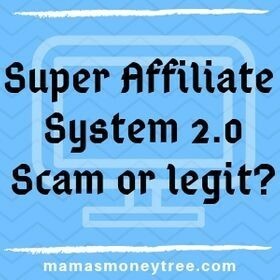 You have probably heard of this product on the internet marketing space, and you’re looking for an honest review of Super Affiliate System 2.0, to find out if it is scam or something legit. Well, you certainly are in the right place, because I’m going to provide an unbiased view of it, having no association whatsoever with this product. Who is John Crestani? How expensive is this product, and why is it with such a high price tag? What is the training provided in there? Are there hidden costs that you should know about before diving in to purchase the pricey program? Recommended or not? : Recommended only if you are an experienced affiliate marketer who knows what you are doing. NOT recommended for newbies. John Crestani is a respected and very successful internet marketer, his advice is very much sought after. The training taught in Super Affiliate System 2.0 is valuable if you are going in the way of paid ads, but $997 is definitely too steep for many people. So many other successful marketers out there are giving genuine and valuable advice for free, or at a much more affordable price. This is not the only big sum you are forking out if you go for Super Affiliate System 2.0. Because the focus is on paid ads, you are going to spend a lot more after going through the course, on all your campaigns, when you can actually get free organic traffic from SEO (search engine optimisation)! So this is definitely NOT something I would recommend, especially if you are just starting out building up your website for passive income, and getting the hang of affiliate marketing, you certainly don’t want to be throwing in money for ads at this stage. Read on if you want the in-depth review of Super Affiliate System 2.0, what exactly it is and how it works, along with its pros and cons. Basically it is a super high ticket affiliate marketing course, priced ridiculously at $997. Doesn’t it appall you, just the price alone? Your reaction is normal, it’s a basic survival instinct. So listen to what your head is telling you. You will see many raving reviews about this product, primarily because those people are on their affiliate program. They earn a commission off your purchase as you click through their affiliate link to buy the product. That is why they are offering their own bonuses, as they are competing with other affiliates for your business. So keep your eyes wide open as you research about anything, don’t take everything at face value. Over 50 hours of video will bring you through these advanced paid traffic methods, which ends off with how to scale your campaign efforts, ways of outsourcing, and automation. You get access to a community of people who have signed up to this training program, as well as weekly webinars by John himself. All is well and good, except for the price. Do you know it is possible to get free traffic? Instead of using money, you put in time and hard work. The free traffic you get is people who are actively searching for what you have to offer. So they have their wallets out of their pockets, all ready to buy. There are lots of hidden costs as you progress along in the training of Super Affiliate System. There are tools you require, as you put the stuff taught in the training into practice. But John has not developed any of the tools himself to support his community of affiliate marketers. Instead, he puts in his own affiliate links to the external vendors, to try and get even more out of his dealings with you. A few examples of the affiliate links are to Bluehost and ClickFunnels. Of course there is nothing wrong with including his own affiliate links, but the overwhelming feeling I get is of him just trying to monetise as much as he can from his customers. I don’t get the vibes of ‘help others first, and earnings will come along’ that many successful marketers are strongly advocating. So if you are going for this, be prepared to fork out a lot more than the $1K, otherwise there is no practical application to what you will be learning through the program. John is the paid traffic pro, he is highly successful as an internet marketer, and has lots of insights and tips to offer. So this is a useful course, when you are at the stage of implementing paid traffic for your website. He is also genuine in making the Super Affiliate System useful for anyone who is considering using paid ads to drive traffic to their business. The training offered is in-depth, and valuable for people who have lots of experience with affiliate marketing. When you are earning a decent income from affiliate marketing, it shows that you have figured out your niche and your customers’ needs, behaviour, spending patterns, etc. And you may be ready to scale up your business, through paid ads. The price tag is definitely way too high. With the vast internet, lots of great advice on affiliate marketing can be found freely, or at a much lower price, by equally successful internet marketers. Like mentioned earlier, there are lots of hidden costs if you want to make Super Affiliate System really applicable to your business. For instance, to purchase ClickFunnels, it costs $97 a month! All these are not made known upfront to you, so I want to point it out, just so you are aware and can make an even better informed decision. As you can see from the high price tag and hidden costs, this is not for you if you are just starting out on your affiliate marketing ventures, and are not making any real money yet. Without much experience, don’t expect Super Affiliate System to work for you by simply sinking in the money. Do not be blinded by greed, and fall for John’s hard selling tactics, and unrealistic claims. Because to implement paid ads successfully, you need to know your niche and your customers really well, where your customers are, how to find them, etc. Otherwise the campaigns you run will simply get you leads that ultimately do not convert, then you will just be throwing money down the drain. Instead, for every beginner, I would strongly recommend you go for free organic traffic, as there is zero cost to that, there is huge potential for massive volume of traffic generated from an organic source, and is a sustainable long-term strategy to running any business. I know, because I get all my traffic from this source. Is Super Affiliate System 2.0 Scam or legit? Super Affiliate System 2.0 is not a scam. It is a legit training and community platform, provided by one of the big influencers in the field of affiliate marketing using paid ads to drive traffic. But it is a high ticket item (like these products that I have reviewed: ClickBank University and Six Figure Success Academy, to name just a few), intended for affiliate marketers who are already earning well in their niche, which proves that they know their business and customers well enough, and are looking at sinking in some advertising cost to expand their business and scale up their profits. If you are a beginner to affiliate marketing, I do not recommend that you take up Super Affiliate System 2.0, as you need lots of time and experience to work your way through your niche, in order to become the expert. If you are an experienced affiliate marketer, and would like to learn more about paid traffic to scale up your business, this is a worthwhile investment in your education. For beginners, you should focus on building a solid foundation for your business, by writing your content to rank high in the search engines. This is also the sure way to get you free organic traffic. In fact, organic traffic is the best kind of traffic, because it is highly targeted, with people who are actively searching for stuff related to what you are offering. With the perfect match, they will be so ready to convert into buyers. You do not have to pay thousands for all training that is top notch. In fact, the platform that I am recommending has a free starter members area, which offers you 2 websites absolutely for free (including hosting and domain names, all for free), and 10 lessons so that you get to see how authentic this awesome training platform is. Hi Mama, I have had some interesting views on Super Affiliate System 2.0 from others, which has led me to change my view on PPC as well. Basically your advice is great as the funds spent is mainly high risk. However the price actually seems fair to me as I have seen much high prices for a complete training for a couple grand. Obviously low budget advertising is smart for the small startup and recommended. Keep us up to date on these as your expertise is valuable. Thanks for dropping by, and for offering a slightly different view. Yes there are some programs and training courses that cost a lot more, and they are worth it. People who can afford it and want to learn the content will buy it. But there are also many awesome ones (like Wealthy Affiliate) that actually charge a much lower price, so that the masses can afford it. So I guess it’s about different marketing strategies. The main drawback with this product seems to be the price, and I wonder why it is set so high, as I am sure that there are not many people out there that would be able to lay out this type of money. Thanks for your cheaper recommendation, and I am sure this will be far more affordable and a lot more beneficial to many more people out there. I wonder why these marketers have to charge so much. I am sure they would end up making far more if they just dropped their prices, as many people are looking for great training such as this online. Yeah you’re right that most times, they can earn more by charging less, making it affordable to the masses. I guess they also want to send the message that this product is of some out of this world quality, to distinguish it from the others that everyone has access to. Wow, that is an expensive affiliate program. Totally not worth the price, even though I have never used it. Wealthy Affiliate, in my opinion, is a much better option. Its cheaper and there is also a wealth of knowledge available on it. It is a very honest program and there are no hidden costs on the way. What is the point of Super Affiliate if it’s not for beginners. Why would any experienced person want to pay that price? I wonder how many subscriptions they have! Yes Wealthy Affiliate is definitely the best thing I have ever seen out there, in terms of structured and easy to follow training, totally perfect for newbies. Hey there! a great website and very informative article! You have explained every point about Super Affiliate System in depth . I like the way you have structured the points, makes it a really interesting read. This Super Affiliate System charges really too much. How did you got to know about the program? Thank you for this great article and best of luck for your future! Thank you for your kind words. I’m always on the lookout for new digital products and programs, so that I can review them and give my readers some unbiased information. That’s how I got to know about Super Affiliate System 2.0. I have read your whole review of Super Affiliate System product and I have the same opinion and agreed with you that this program is not for all who wants to learn and earn through an affordable budget. Lot’s of hidden cost, up sells and investment is not a perfect way to establish a business for beginner. I would prefer your # 1 recommendation of joining in wealthy affiliate training program. Thanks for sharing this helpful tips with us. Yes, the issue with this Super Affiliate System 2.0 is really the cost, otherwise I would gladly check it out in order to learn more stuff about affiliate marketing. I have heard about Super Affiliate System 2.0, but I didn’t realize how high the price is to join! Holy smokes! I do think it’s good that you get to learn from someone who is extremely successful in this business. And I bet the training videos are top-notch. But yes, this might be a good product for waaaaayyyy down the line after you’ve got some experience making money in affiliate marketing. Your #1 recommendation is the same one where I’ve learned everything about building a website and making money from it. I like that they teach you how to get free traffic because paid traffic is seriously scary if you don’t know what you’re doing! You could spend thousands of dollars on paid traffic. Thank you for this great review. i think I’ll pass on this one for now. Yeah it’s a shame that Super Affiliate System 2.0 is priced so high. I would have loved to check it out if it were more affordable. I’m so excited to know that you’re benefiting from Wealthy Affiliate too! Wish you success in your website! Thanks a lot for this interesting review, Joo. I am myself always on the outlook for online opportunities but had never heard of Super Affiliate System 2.0 before. Your review saves me a lot of work. Thanks! Yes, do check out the other recommendation in my post, you won’t regret it! Nice review there you actually did hit the nail on the head here, thanks for taking your time to explain what super affiliate system 2.0 is all about although it is not a scam site but the cost of the course is way too much for beginners who want to turn their passion into cash, its actuall a NO NO for me. Yeah I definitely do not recommend it to beginners who have no income to start with. Super Affiliate System 2.0 like you mentioned is not a scam and I believe that from the way it has been described. It is meant for experienced online entrepreneurs or for those that have been around for some time. Even if a system promises step by step lessons on how to run ads unless you already have some experience you are probably going to end up losing some money before you actually get a hang of it which is why those just starting online are probably not suited for such a program. Yes you’re right. Wait till there is substantial earnings from free traffic, which is actually not that hard to master, before considering doing paid ads.